The critically acclaimed Young Avengers team of Allan Heinberg and Jimmy Cheung reunite for the Avengers story you demanded! 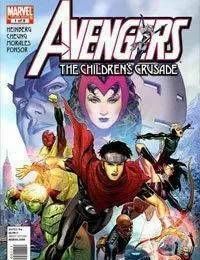 The one, true Scarlet Witch is back and it's a race between the Avengers, Young Avengers, Magneto and Doctor Doom (!) to find her. Each group has their own motives and all will stop at nothing to find the mutant who changed the world!